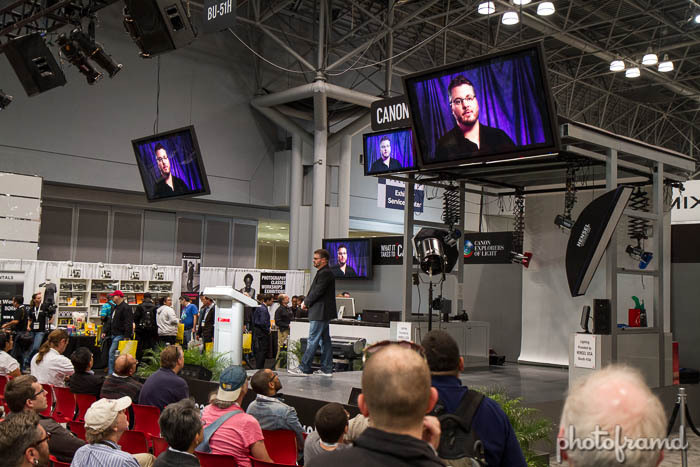 I spent some more time in the Canon Booth on Saturday and found some interesting things. 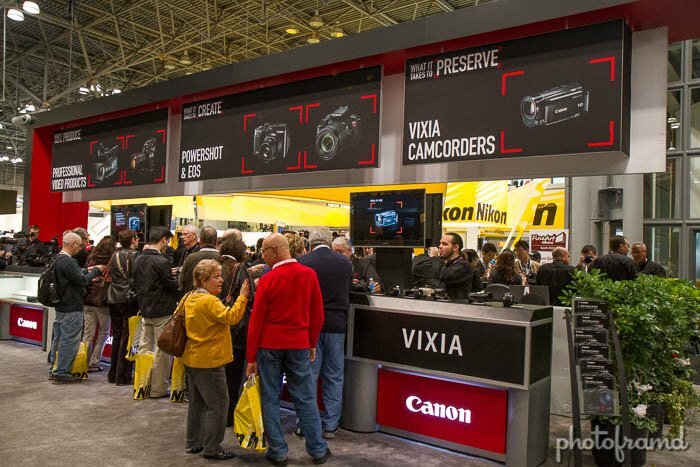 Canon really doesn’t like CanonRumors.com – go figure. I also got confirmation that the Canon 7D Mark II is in the works. (“Canon listens to its customers and wants to keep them happy.”) No release date though. 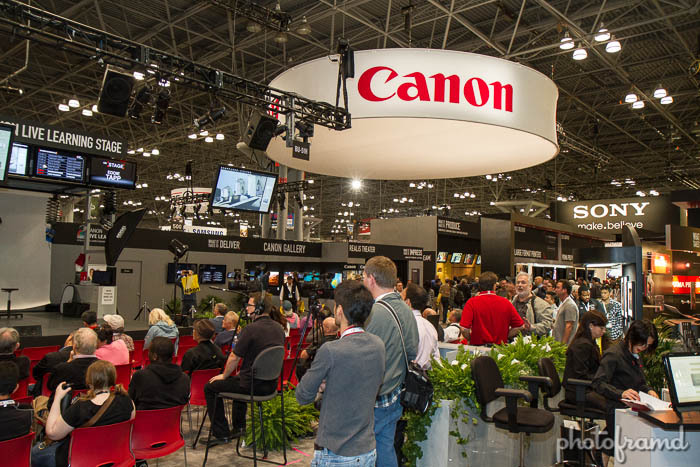 In fact, the Canon 7D was in several areas of the massive Canon Booth. 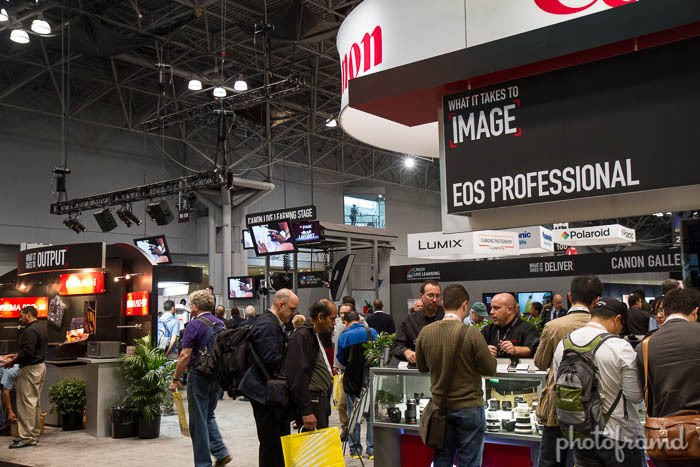 Canon has stopped producing the Canon 5D Mark II. Once the stock is depleted, that’s it. But, that’s where the Canon 6D comes in. Canon views it as a refresh of the features and technology in the Canon 5D Mark II. It’s even at the same price point as the Canon 5D Mark II. 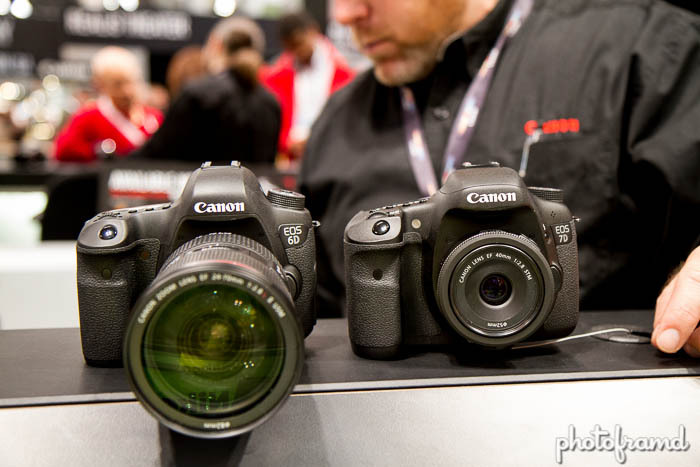 So, if the 5D Mark III is out of your price range, the Canon 6D is your full-frame alternative. The Canon EOS M is pretty cool. It incorporates a touch sensitive LCD with a touch and shoot capability just like a Smartphone. Unfortunately, it is sloooow — definitely not suitable for action photography. Yes, you can use the adapter for the M to take your Canon EF lenses, but what are you really gaining? 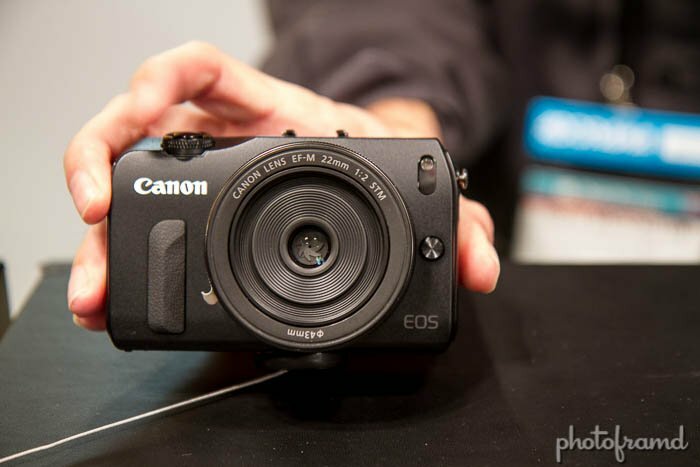 Canon did not plan it as a DLSR alternative, just a mirror-less camera. If you want DLSR performance, get a DSLR.